This is simply one of the best songs of all time. As you read it I hope your thoughts are turned to the greatness of God. Who is like Jehovah? May you understand the blessings you can have in Christ and may you be glad with the joy of His presence. 1. Holy, Holy, Holy, Lord God Almighty! This is one of those songs where you want people to raise their voices and sing out to God. If possible you want to hear piano and organ playing together. You can through in some string, brass and woodwind instruments too. It just makes me want to praise God for who He is and that He alone is God and there is no other. Hallelujah! Kim and I were looking forward to trying this Cowboy Blend because we liked the other two Mystic Monk Coffees we tried. In fact we are out of the Hermit’s Blend because we shared it with friends and they liked it too. The Cowboy Blend is the Monk’s (www.mysticmoinkcoffee.com) third best selling coffee. It is described as a daring blend of a delicious dark South American roast with a lively citric light roast, resulting in one delicious complex blend that comes alive in the mouth. I like to open a bag and look at the beans and smell them. In the bag you can see a mixture of light and dark beans. There is a light aroma from the coffee. 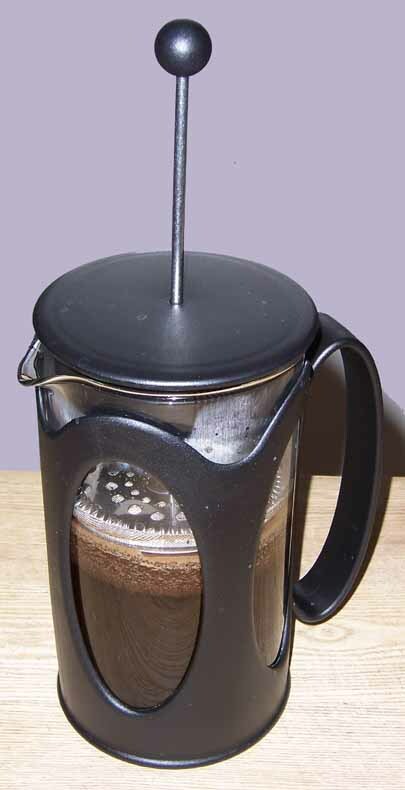 We brewed it in the auto-drip first and the aroma from the brewed coffee was light. We poured our first cups and tasted. Both of us thought it had a smooth taste and light body. We also tasted the citrus. We liked it but it seemed to have a lighter aroma and flavor than the Mexican Decaf. The next day we tried it in the French Press. This was Kim’s favorite style of brewing and tasting. I think the French Press is becoming her favorite way to make coffee. We almost always drink our coffee black now, but I still miss my honey and cream. There was a slightly bolder flavor but still a smooth taste. It is a very mellow coffee. The citrus flavor was more pronounced here. Lastly we brewed with the Chemex. To me this makes the cleanest tasting coffee. I think you really taste the flavor of the coffee here. To me this Cowboy Blend has a subtle or mild flavor and very little acidity. You can get the light citrus taste here. It is good, but I prefer a bolder taste of coffee. I like to smell the fresh brewed coffee before I swirl it around and pour it into my cup. When in the cup I like to slowly take that first taste and savor it. I’m trying to see which flavors I pick up and feel the body of the coffee. We liked this coffee and Kim thought it would be a good afternoon coffee. Of the three Mystic Monk Coffees that we tried it was my least favorite. But that is not saying it is bad, it is just too mild for me. If you like a mild coffee this is one for you. You can purchase the coffee at www.mysticmonkcoffee.com. We received this coffee for free and offer objective feedback. Be sure to check out our other coffee or coffee shop reviews too. I am having a renewed interest in the writings of Tozer. While visiting my in-laws I came across some old paperbacks and asked if I could take some home to read. A few of them were by Tozer and Andrew Murray. I started skimming through the books and decided to slowly read through Man The Dwelling Place of God. I also thought that Wednesdays on the blog would become an insight from Tozer day. Maybe I can remind people of the great insight and practical knowledge that God gave this man. At the least I would be encouraged and challenged to know God better. My plan is to give some excerpts from different chapters and let the reader think about what Tozer has written. I will give some of my thoughts as well. Today’s chapter is Why People Find the Bible Difficult, pages 26-29. “………..Why is the Bible hard to understand? No snap answer can be given; the pert answer is sure to be the wrong one………..In spite of this I venture to give a short answer to the question….I believe that we find the Bible difficult because we try to read it as we would any other book, and it is not the same as any other book. These are powerful words from Tozer aren’t they? They still speak loudly to the times in which we live. Sometimes I think God was using this man to get people’s attention and to turn their hearts and minds back to Him. This chapter may have been written in the 1950’s and appeared as either an article or editorial in The Alliance Witness which was a monthly magazine of The Christian and Missionary Alliance. I think we should pay attention and think about what Tozer had to say. We should also ask ourselves if our church services are man-centered or God-centered and who really is the star of the show? Stay faithful and hopeful. 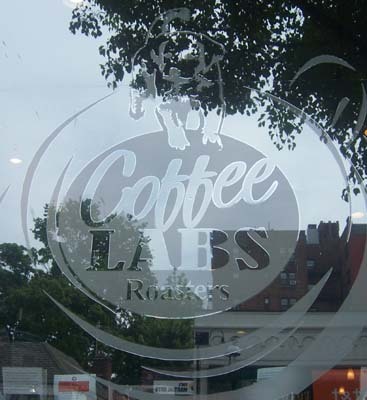 Since going to New York and visiting Coffee Labs Roasters (www.coffeelabs.com) Kim and I have been looking forward to coming home and brewing their coffee. On this trip we did take our French Press with us to give us a break from the hotel auto-drip. We have decided to keep taking it with us and start our coffee reviewing right away. Because we had some other coffee to drink we saved these beans until we got home. We’re home and now the fun begins! This coffee is a Columbian Mesa de Los Santo Don Telmo Reserva. It is a full city to full city plus roast. The whole beans in the bag smell wonderful. By the aroma alone you can hardly wait to grind it, brew it and drink it. (My mouth is beginning to water as I type this). We did our brewing and tasting a little different this time. The first day we had the Columbian in the auto-drip. The aroma is nice. The coffee has very little acidity and a natural sweetness to it. Kim and I both drank it black and were surprised by just how good it tastes that way. I’m used to putting one teaspoon of honey and a little cream in my coffee, but I think adding anything to this brewed coffee would take away from its flavor. Two thumbs up with this style of brewing. The next day we decided to brew two cups in the French Press followed by two cups in the Chemex. Kim thought about having this quick comparison so we could really taste the coffee because the brewing styles and results are so different. 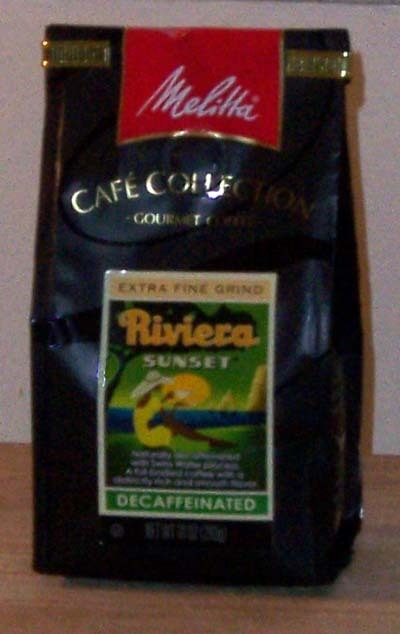 This coffee does have a natural sweetness to it and we enjoyed it without cream or sweetener both ways. It also has a subtle boldness that creeps up on you as you drink it. It has a nice feel in your mouth and a nice aftertaste with just a little fruitiness. We weren’t quite ready for the caffeine buzz that followed, but it’s good that we both had a lot of work to do. It did seem to give us more than a normal jolt than our usual morning auto-drip style. We chalked it up to brewing quality coffee in the normal strength way for quality brewers. Later that afternoon we decided to make two more cups in the auto-drip for a third comparison. Did I mention that this coffee tastes good?! We both decided to use a little honey and cream this time and we thought they actually took away from the taste of the coffee. This coffee has a good aroma and overall subtle boldness. I was telling Kim that I really enjoyed this Columbian coffee black, maybe even more than any other coffee we’ve reviewed up to now. Kim thought this would be a great desert coffee. Two thumbs up with all three brewing methods. We’re looking forward to sharing it with friends. If you are looking for a great Columbian full city (medium) roast you cannot go wrong with this one. You can purchase it at Coffee Labs Roasters (www.coffeelabs.com). We received this coffee for free and have given objective feedback. Be sure to read some of our other coffee and coffee shop reviews too. My wife and I recently visited my father in-law. I took my laptop and a phone line so I could get online. I thought I could just plug a phone line into my computer and get online. My wife explained to me that it doesn’t work that way. We didn’t take a router and my father in-law isn’t online. Funny how we get used to something and forget what we had to learn to get so used to it that we take it for granted. Do you think we Christians ever take sound doctrine for granted? Do you think we believers ever take the Holy Spirit for granted? Years ago when I first went to seminary I had a theology professor who constantly reminded us, “If your theology is not practical it is not Biblical. Biblical theology is practical.” He told us he had a professor who taught that to his students also. As the years have gone by and fads come and go, I still believe that Biblical theology is practical theology. The copyright on that book is 1950. Do you agree with Tozer or not? Do we have a better appreciation and understanding of sound doctrine in our churches today? In our personal lives do we spend any time studying doctrine? Do you know what you believe and can you communicate with Scripture what you believe? Then does your behavior communicate in a positive way what you believe? Is it any wonder why Christians and churches are Biblically illiterate and unhealthy? To borrow Tozer’s idea, if doctrine is dynamite do we have enough sound doctrine to blow our noses? What do you believe about the Bible? What about the Trinity? Do you know enough about salvation to stake your eternal life on it? Do you have a plan to continually study doctrine? Reading Tozer has encouraged me to study doctrine both for myself and my listeners. I want to know God and His Word better tomorrow than I do today. I want to live in obedience to Him and His Word too. How about you?